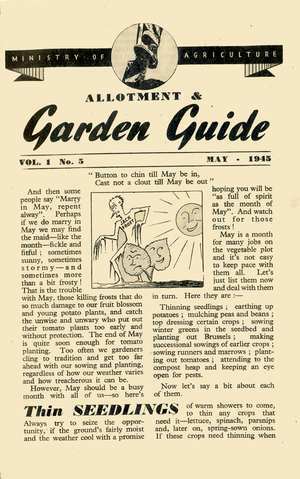 May 1945 was special in the war although this is not reflected in the allotment & garden growing guide. The war in Europe was over, Germany finally surrendered to the Allies on May 8th 1945. 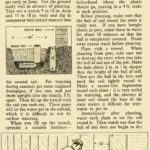 No longer did the public have to worry about air raids and V weapons like the V1 and the unstoppable V2 ballistic missile. However, the war in the far east with Japan continued. Although nobody in Britain doubted we would win out in the end, the road to that end was an awfully hard road to go down. The Americans bore the brunt in the Pacific war but British troops were in action on land as well. Supplies from abroad were no longer precarious, subject to submarine and air attack in the Atlantic and coastal waters. Shipping may have become easier but the priority was still military supplies or strategic raw materials to build munitions for the Eastern war. The biggest constraint though was financial, Britain had spent every penny it had and borrowed huge amounts for the war. We could not afford luxuries, in fact we could barely scrape the credit to buy necessities. As if this wasn’t enough, because we had forced an unconditional surrender from the Germans, we were legally and morally obliged to take care of Germany. Germany was in a worse condition than Britain with it’s entire infrastructure destroyed. The Dig for Victory campaign was set to continue, whatever it was called, for years yet. 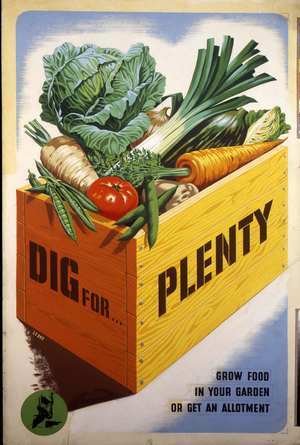 Rationing would continue for another nine years until 1954. 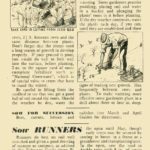 The original May 1945 Dig for Victory wartime growing leaflet consisted of 8 pages which I have followed by reproducing the content onto separate pages. A discussion of the unpredictable weather that May can bring. 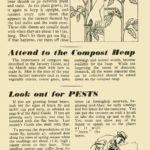 General tasks for May and the importance of not delaying thinning seedlings. 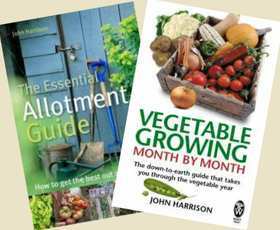 Outdoor tomatoes, planting sites and preparation of the soil prior to planting out. A discussion on the benefits and drawbacks of a good bird population. 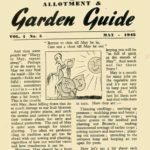 The May 1945 Official Monthly Dig for Victory Guide starts with a discussion of May weather and then covers monthly garden jobs and thinning seedlings. 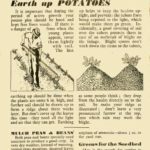 In this page of the wartime growing guide - how to earth up potatoes, mulching peas and beans to retain water in dry periods and sowing cabbages. 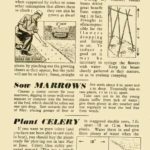 This page from the official Dig for Victory leaflet covers growing Brussels sprouts with a small section on successional sowing crops. 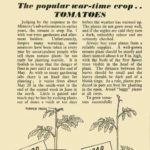 Most growers in WW2 did not have a greenhouse so tomatoes were usually grown outside. Despite the British weather, quite successfully. Here's how to do it. 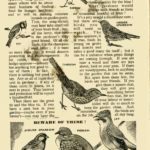 A bit about birds, more allies than foes.This page from the wartime growing guide covers which birds are friendly pest eaters and those not so friendly.